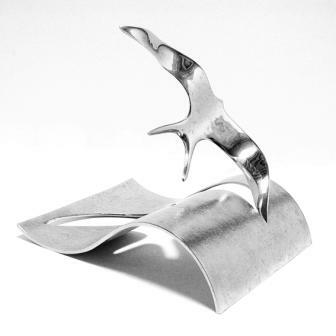 Right now we are waiting for new Guy PORTELLI Sculpture to arrive at the gallery. In the meantime, here is a selection of the artist's archived art work which has featured at Red Rag Art Gallery. If you wish to register to receive updates and alerts when new art work from Guy PORTELLI arrives select this link. 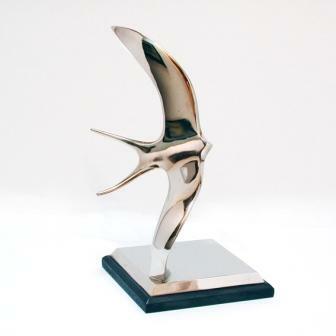 After a career in the commercial art world, which included a period of time at the British Broadcasting Corporation (BBC), Guy Portelli has turned his undoubted art talent to sculpture. 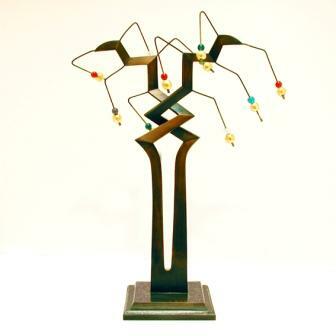 Already Guy Portelli has an impressive track record in the field of contemporary art sculpture. 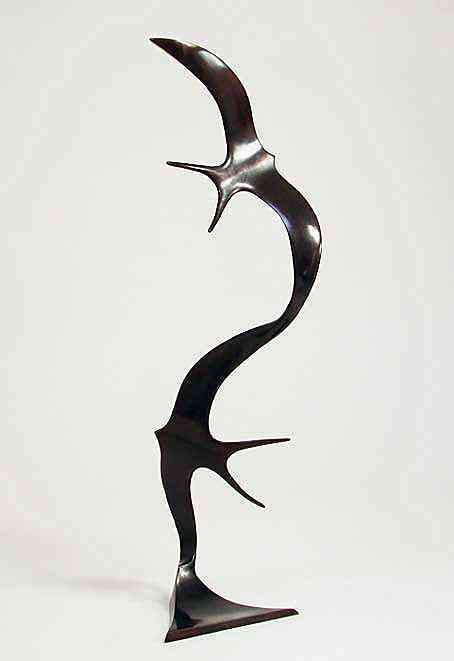 Many of Portelli's sculptures are held in British public, corporate and private art collections. Guy also has a growing following outside of the British Isles. Guy Portelli has undertaken a number of high profile art commissions. These include: Life size Masai Warrior for Commonwealth Institute 1983; 13 Greek Goddesses for London Pavilion - Piccadilly Circus 1987; Fountain at Opera Terrace, Covent Garden, London 1987; Sculptures for Trafford Centre, Manchester 1998; and Ringo Starr's Peace and Love Sculpture 2002. Guy Portelli exhibits regularly at many prestigious British Art Galleries and shows at art exhibitions in the USA. He is also a member of the Royal Society of British Artists and an Associate of the Royal British Society of Sculptors. Each sculpture from Red Rag is sourced from the Guy Portelli artist studio and like all our British art and Contemporary art it can be shipped by Red Rag British Art Gallery worldwide.